The rather wonderfully named “Bike Johnny” is a simple solution to an age old problem. Most of us don’t have the luxury of a van to cart our bike about and on occasions it’s necessary to cram our “two-wheeled pride and joy” into the back of our “four-wheeled pride and joy. And, on occasions, even if we are a fair-weather rider, that “two-wheeled pride and joy” is covered in road dirt or worse. So, how do you go about protecting your expensive upholstery from oil, mud and goodness knows what else? 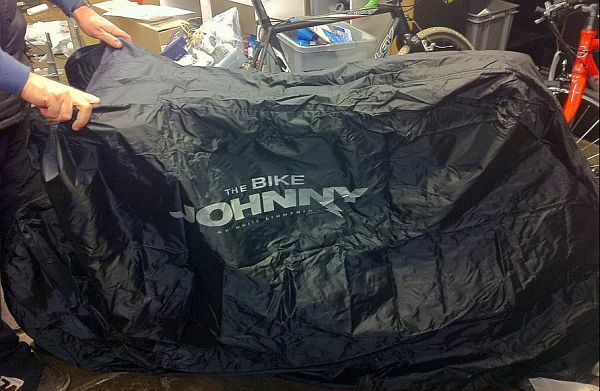 That’s where the Bike Johnny comes in – it’s a waterproof bag that packs down like a small raincoat, but expands enough to envelop your bike. In just a few seconds your problem is solved. The Bike Johnny comes in an attractive black colour and includes holes through which you can pop a D-lock, should you want to secure your bike somewhere. We’ve even heard of riders popping their summer bike in one and storing it in the loft for the winter – so it’s a multi-purpose item too! The price is just £60 – pop into the shop for a demo. 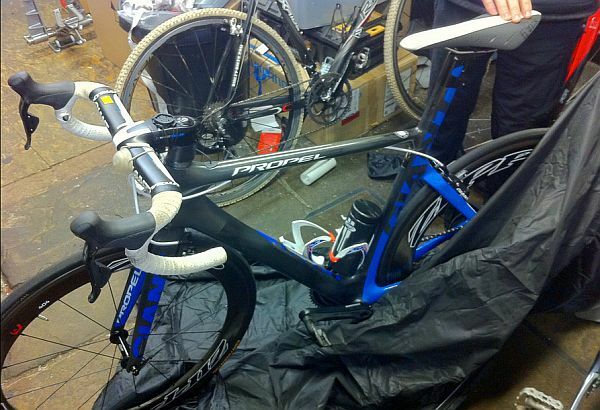 This entry was posted in Latest News on April 15, 2014 by pedalsportclub.